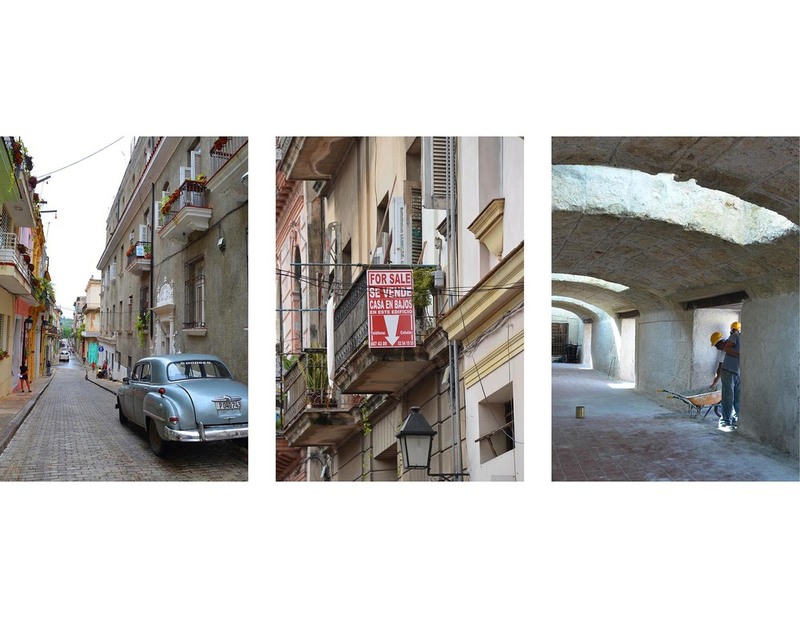 In the spring of 2014 E. Dallmeyer was awarded the SOA/AIA Traveling Fellowship in order to travel to Havana, Cuba in order to study the historic preservation program there. 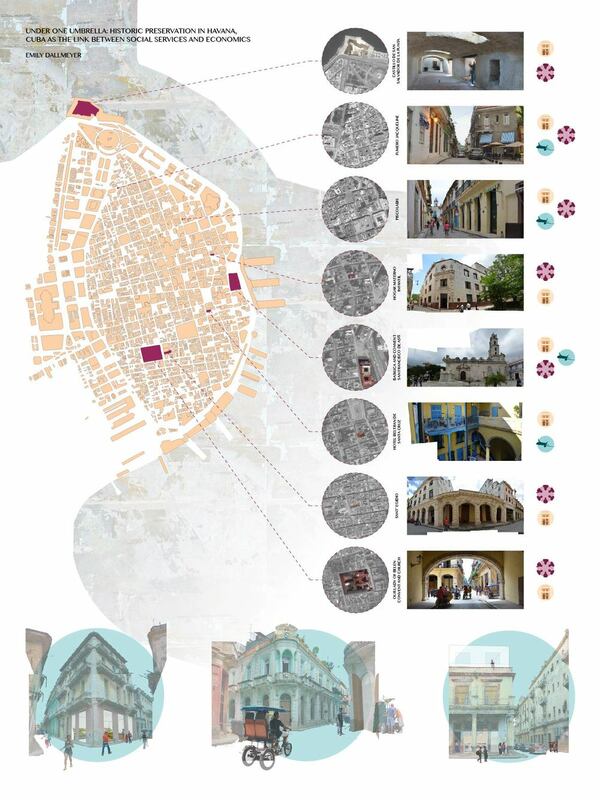 The research E. Dallmeyer worked on in Havana has resulted in 3 conference papers, several presentations, a guest lecturer at the University of North Carolina at Charlotte by one of the contacts from Havana and her Masters of Architecture thesis project. This abstract is still being updated as the thesis develops. 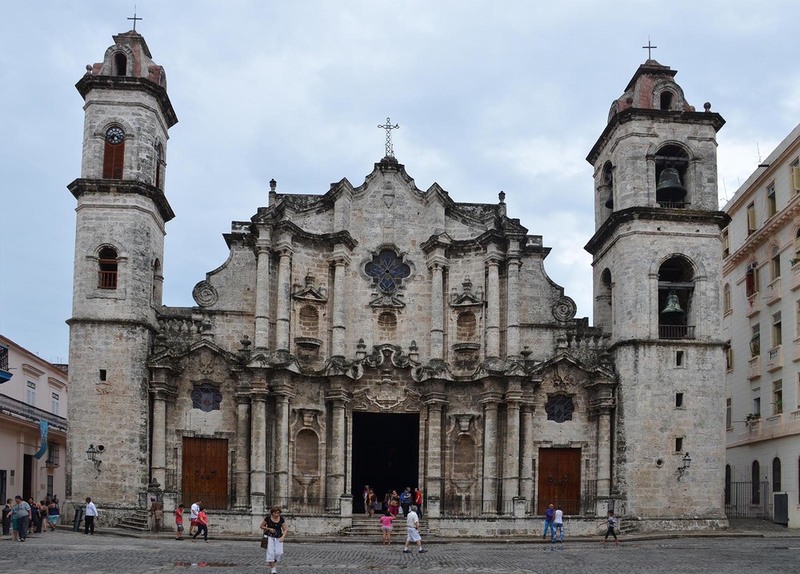 These buildings are all examples of historic preservation projects that exemplify some combination of preservation, social services and tourism. Five were completed by the Office of the City Historian, but three are examples of partnerships or non-office work. 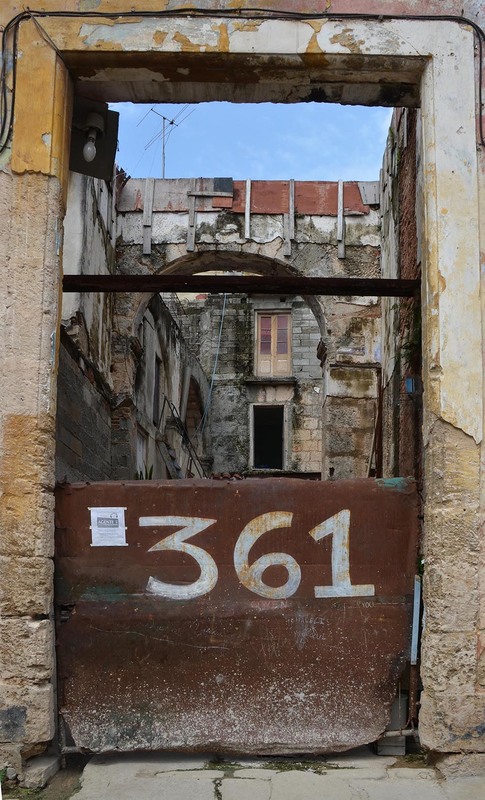 The three collages at the bottom speculate about additional non-office work that could extend the impact of historic preservation. This timeline includes the events, buildings, books and articles that are relevant to this Master's thesis. The statistical maps are modified from Una Experiencia Singular. This network of people were necessary to complete the research project. Notice how two separate branches lead to the same Cuban expert. This diagram illustrates the major themes investigated in E. Dallmeyer's thesis. 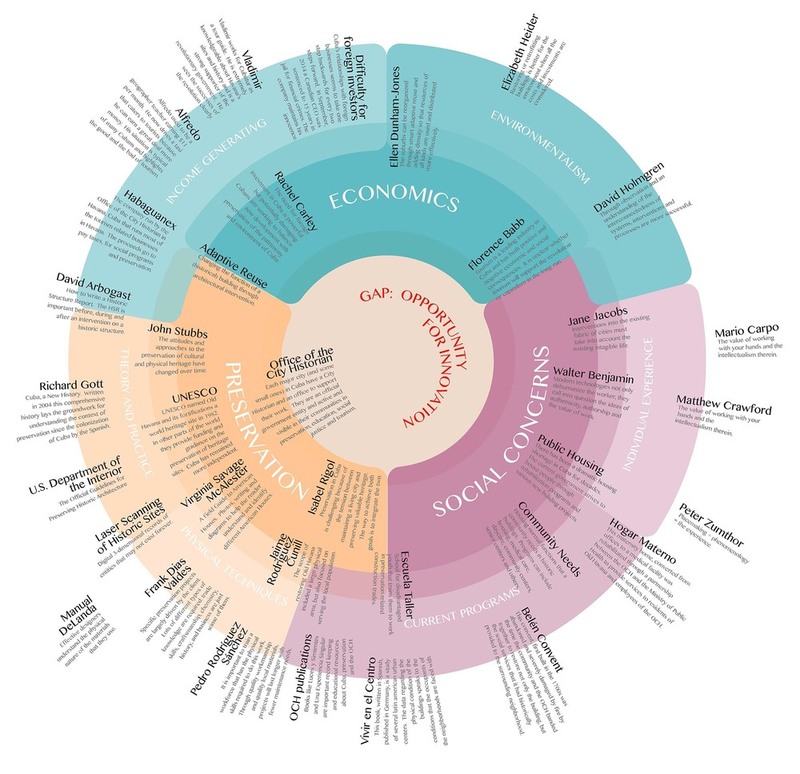 Each resource is placed according to the relevance to the themes of Economics, Preservation and Social Services as well as their subsets. 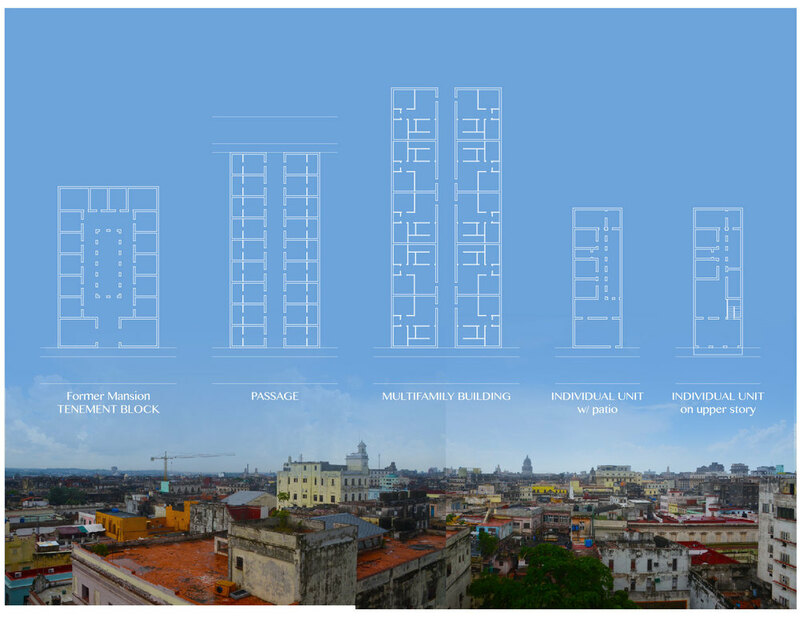 This chart is based on the one published by the Office of the City Historian of Havana in Una Experiencia Singular. Examining the many authorities and responsibilities of the OCH sheds light on how they accomplish their many projects. 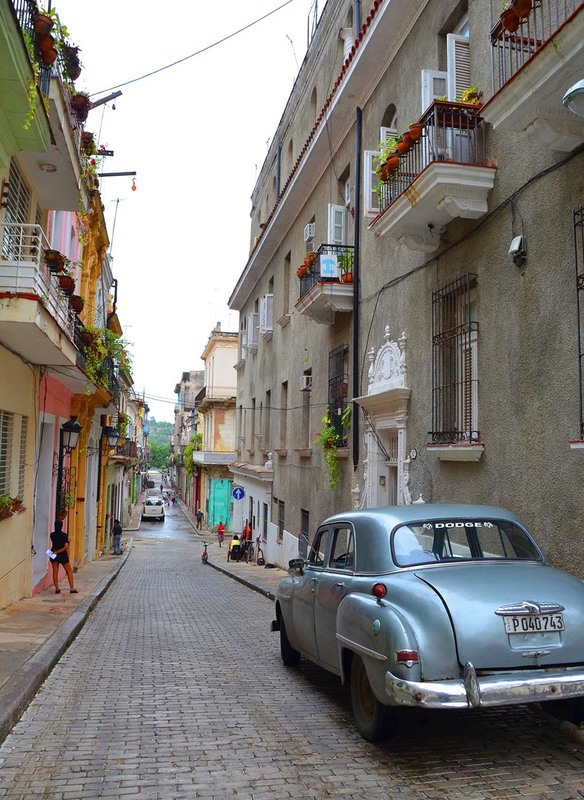 On the left one of the classic cars Havana is famous for, in the center evidence of the recent changes in property laws and on the right students at the Escuela Taller at work restoring the Castillo de San Salvador de la Punta. Through on site visits, interviews and secondary reading E. Dallmeyer executed research that formed the basis for her M.Arch thesis work and multiple conference papers. "The Architecture of Trade" was the title of this conference. Contact E. Dallmeyer for a copy of the paper she presented in February 2015. 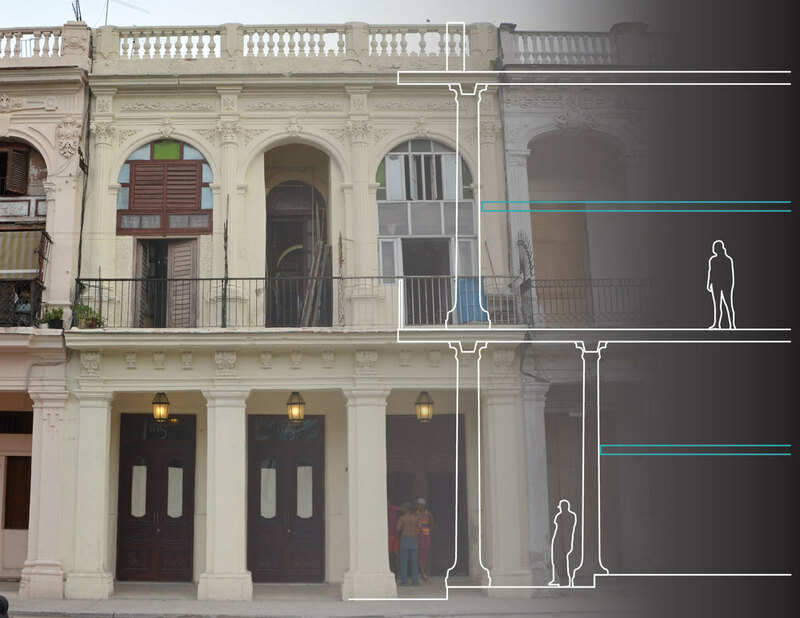 The home of the community San't Egidio is one case study of a building studied as a part of the thesis project. These diagrammatic floor plans are based on a diagram in the book Vivir en el "centro": vivienda e inquilinato en los barrios céntricos de las metrópolis de América Latino by Hans Harms. They are redrawn here and paired with a panoramic view from the tower of San Francisco de Asis. This diagram is based on the section diagram from that paper 'Arquitectura al service del usuario creadores de su vivienda' by Mesías González and Morales Menocal. It is redrawn and simplified here and overlaid over a photo of this phenomenon in action on the Paseo de Martí (Prado). 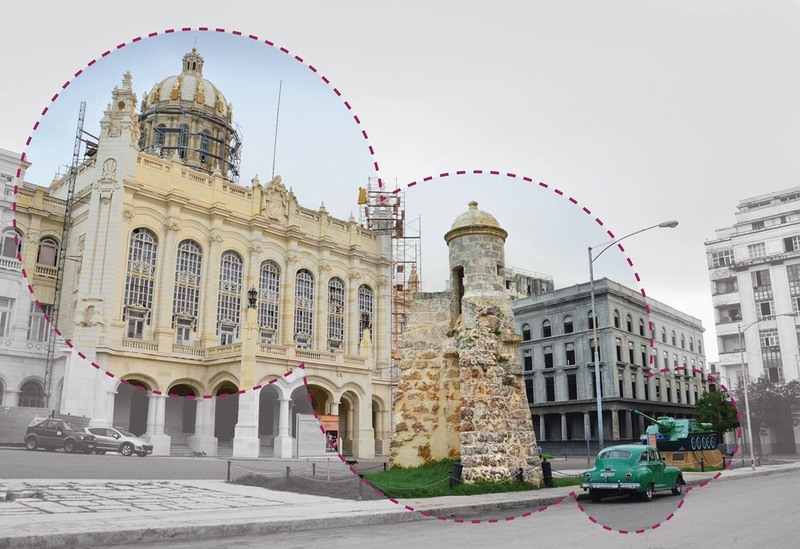 This photo captures the juxtaposition of this former Presidential Palace, now the Museum of the Revolution, with a fragment of the original city wall, a classic american car and a tank immediately in front. Scaffolding to restore the dome of the palace is visible. View from el Paseo del Prado, officially named Paseo del Martí. Facades of buildings along the Malecón, or seawall. Suffering from time and sea air. Orthodox Russian Church in Havana. Built using traditional brick methods, this building is completely built out of brick. Inside the Gran Teatro during restoration. The floor tiles were removed to restore partial floors through the rest of the theater, this floor will be completely replaced. 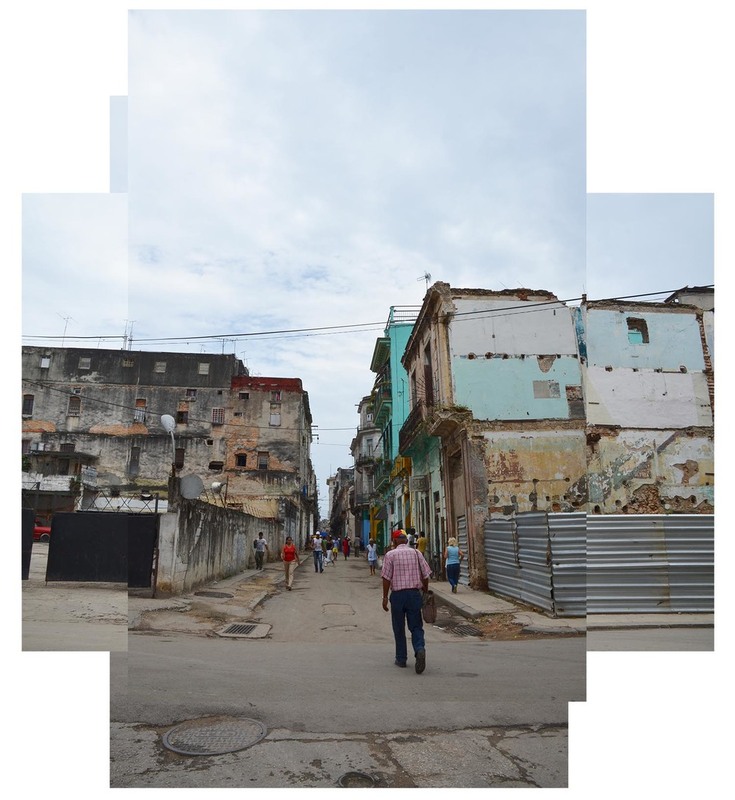 The edge of the protected zone in Old Havana. The front elevation of the Cathedral. 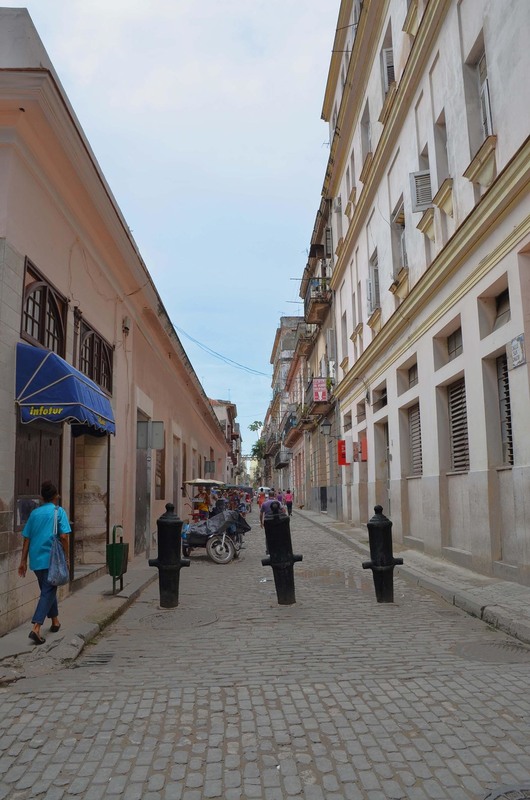 This perspective was taken as E. Dallmeyer walked out of the Santo Angel plazuela. 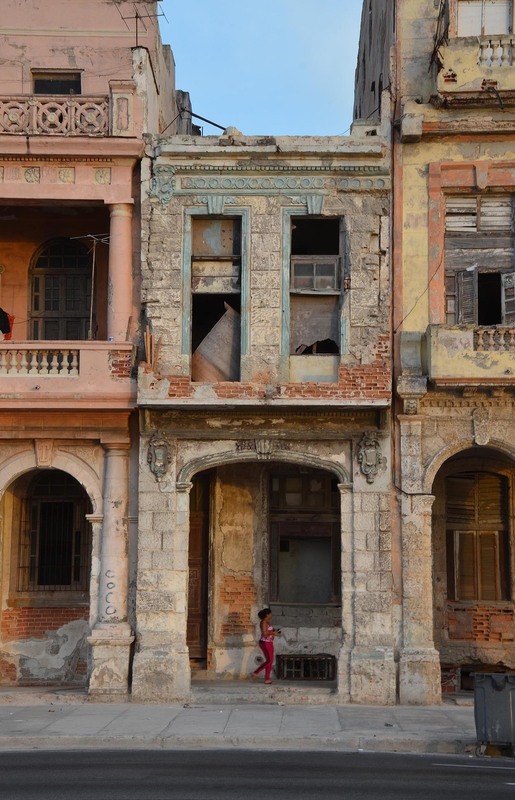 View of complete interior collapse, Old Havana. 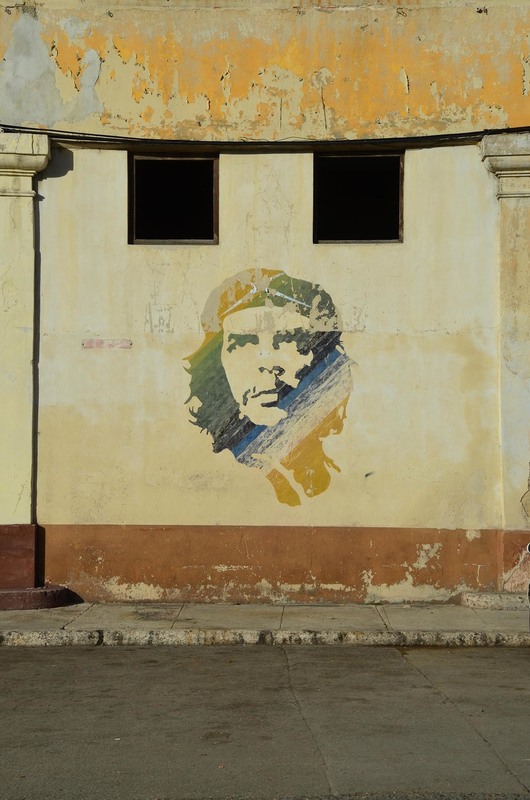 Che mural on the receiving warehouse on the docks. The scaffolding on the Capitol building is evidence of its ongoing restoration. The facades on the right have already been completed.